This afternoon I attended the Yahoo Design Expo, a collection of projects from students engaged in new media/media arts/interaction design at various universities. 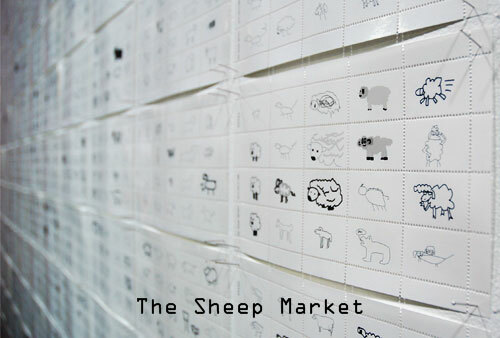 The Sheep Market - exploiting Amazon's Mechanical Turk, he collected 10,000 drawings of "sheep facing left." It's silly, weird, and brilliant. 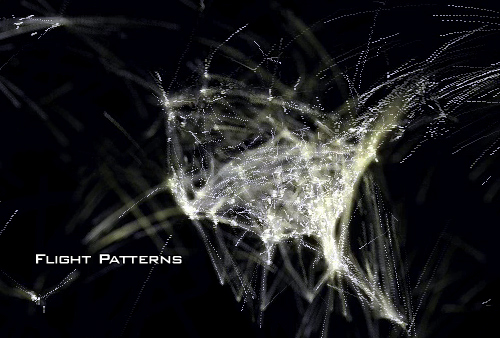 Flight Patterns - using FAA data about a single day's set of flights, Aaron generated a visualization of airplane movement that is reminiscent of Stamen's Cabspotting -- though on a much larger scale. Make sure to download the large Quicktime movie, "Overview Documentation". So good.